Hey, U of T! Wanna get some sick new movies and music for your collection? Don't go out and buy. Save your cash for more important things like BEER. You bring the DVDs, CDs, vinyls, and Blu-rays that you don't want anymore and swap them for stuff that you do want. All media is considered of equal value. That means you can swap a DVD for a Blu-ray, a CD for a vinyl, or a Blu-ray for a CD. You get the picture! If you take home 6 DVDs, 3 CDs, and a Blu-ray, you're getting around $78 worth of entertainment for NO CASH! How awesome is that? 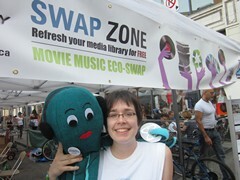 And, your friends will think you're so resourceful (and eco-friendly) by swapping used media instead of buying new. This event is proudly presented by Swapsity (swapsity.ca) and ASSU ( assu.ca). Leftover media will be donated to charity. The more friends you tell, the bigger the selection for everyone. 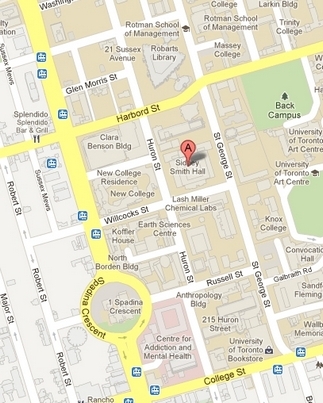 Use Facebook and our Twitter hashtag (#UofTswap) to get the word out. Think this is so awesome, you'd like to volunteer? Email us at volunteers@swapsity.ca. 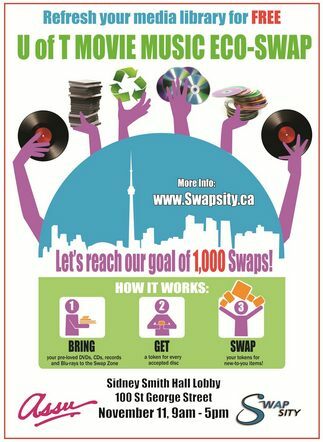 WHAT: First-ever mega media swap event at U of T! WHY: Save your cash for food and beer; build your movie and music collection by swapping instead! GOAL: 1,000 swaps in 8 hours!! Bring as many DVDs, Blu-rays, CDs, and vinyls as you want. To participate, you gotta bring at least one item. Bring movies and music of any genre. No X-rated or questionable media please. What's questionable, you ask? If you would hide it from your mom, don't bring it. We reserve the right to refuse your stuff. Please bring original, non-pirated media only. Forget all that stuff you bought from Pacific Mall. The items must be in good condition. If it skips or doesn't play, don't bring it. That's bad karma. You wouldn't wanna come home and find that your stuff doesn't work. Don't do it to someone else. Just to be sure, we're gonna check everything anyway. You can take as many items as you brought. If you don't want to, you don't have to take any. Leftover media will go to charity. All swaps are final. All media is considered equal value. That means you can swap a DVD for a Blu-ray, a CD for a vinyl, or a Blu-ray for a CD. You get the picture. No money will change hands. Swapping only! We've had tons of money waved in our faces before. We didn't sell out then, we're certainly not selling out now. 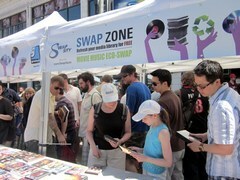 For each acceptable item you bring, we'll issue you a token to trade for other media. One token is generally good for one media item. Tokens are good only between 9 AM and 5 PM on November 11. You don't have to redeem all your tokens at once. Come back as many times as you want throughout the day. You'll receive one swap token for each disc in a collection (e.g., if you bring a four-disc Blu-ray set of Planet Earth, you'll get four swap tokens). Supplementary material doesn't count. If your Sin City Collectors Edition has special features on a second disc, that's still only 1 token. In collaboration with ASSU, we're also hosting a free screening of Living Without Money on November 18th. Check it out and be sure to join us!